Take your trading skills to the next level. Every session is recorded and shared with you in a private YouTube channel. So you never miss a class and have access to these sessions forever. 2.1 What are supports and resistances? I have been in market for few years now but always had difficulty in identifying what to trade and when to trade. This QMT course has given me that steps and process to identify what & when to trade. Also, I am very weak with fundamental analysis and after seeing Abhijit Paul's video I resonated with his way of seeing markets, just using indicators to identify fundamentally strong stocks. QMT is first course which made me understand the use of indicators and how to use them properly. I am very fortunate to have attended this course and very grateful to be part of this group. I highly recommend this course for anyone interested in taking up trading as a career. i feel very glad to be a part of first QMT batch.it is one of prerequisite for successful trader. Abhijit sir has explained all the strategies in a very lucid and understandable language.it was very gr8 experience to learn from master of Technical s. in order to be successful as trader you need not only have fundamental understanding but also technical.Being CA i understand the fundamentals but after class i know the importance of technical analysis.Thanks for being our mentor to become good trader/investor. I had seen quite a few videos of abhijit sir on u tube which were impressive and my reason to join QMT. Prior to that I had done quite a few online course but nobody dealt it the way you did. 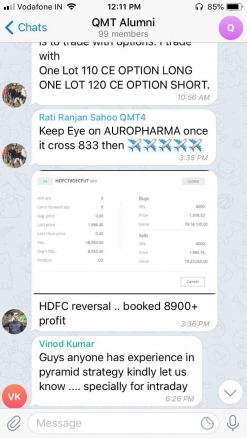 I usually traded in option and cash segment with not much success but after doing QMT have started trading in Futureas I am able to screen the stocks better with your strategies specially the combination of pinch, storm and MA correct order. 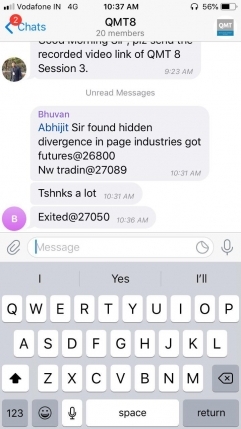 I attended AST with Abhijit Sir in June and then watched all his YouTube videos, gone through his websites/blogs, read about 10x Trader, Read about Alphabets, messaged Abhijit Sir personally with my goals and ambitions and asked him to have a mentor-mentee relationship to which he kindly agreed. He is a gem, have never met personally but I am sure will definitely host him when he is in my city next. I joined QMT in his able guidance and the learning has been tremendous. I subscribed to alphabets Pro last week to focus on specific stocks studies, to reverse engineer the rationale of those recommendations from my own self study and practice. This is going to be a long journey and would need his continuous guidance and direction. I don't want to rush it so largerly focussing on all the books recommend by Abhijit Sir in the past and want to build the practical knowledge steadily. Please use it as a feedback, feel free to edit it and I will be happy to be the brand ambassador to promote the importance of the course. AST + QMT is worth much more than the money. I have attended a course after a long time where ROI is exponential and you know it will only keep increasing. 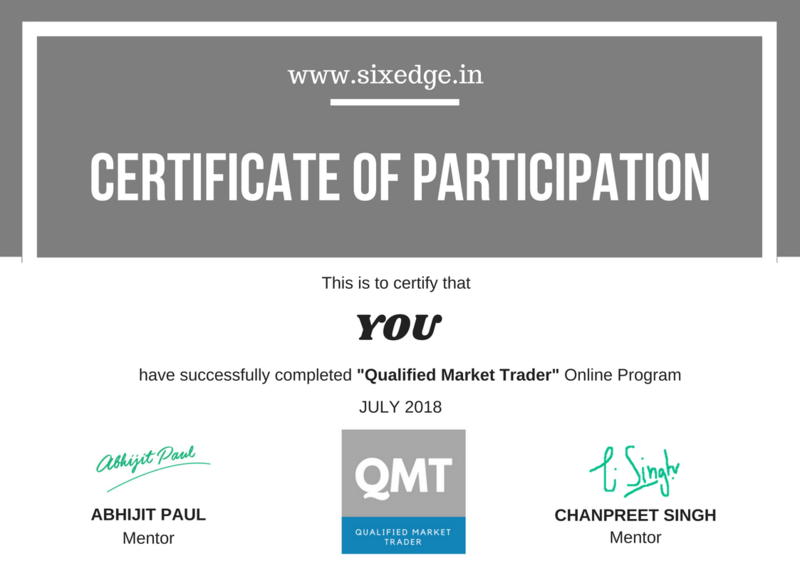 I am a beginner in the stock market and QMT is my first ever course related to it. Being a novice trader, I was bit skeptical before joining this course. But as I was told I went through the blogs and vlogs on their website and the course turned out to be perfect for me. Inspite of being a beginner I was able to understand every concept that was taught to us and now i am pretty clear about how to work in stock market. Like Abhijit said in our last session that our actual journey of learning will begin from now when we actually start to work in stock market and I am sure this journey is also going to be as smooth and amazing as QMT under his guidance. Being a novice, along with knowledge we need little bit extra guidance and I am sure that subscription to AlphaBets will provide that extra guidance as we will be able to analyze Abhijit's recommendations and learn from them. 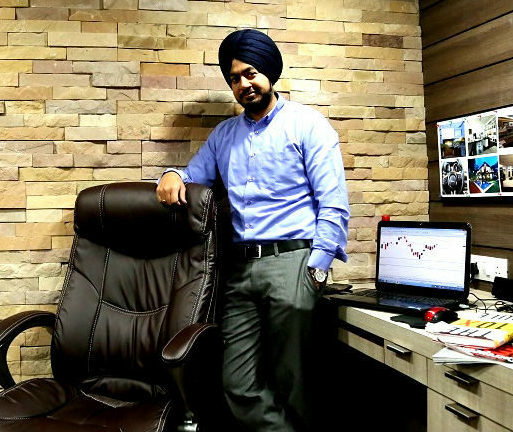 Chanpreet Singh started his journey in 2005 as a trader. Incurred losses in his early days but never lost hope. His continued studies and research managed him to demystify the markets dynamics. Over the years he has guided over 2,000+ traders from all over the Globe. Has over 11,000+ subscribers on Youtube and over 30,000+ Newsletter Subscribers he insists on both Investing + Trading approach. Chanpreet believes that if you want to make money in stock markets you need to focus on thyself, its all about Patience, Capital Management, Strategies and Conviction. Training course to make you a master of trading strategies.